The South American Summer Monsoon (SASM) is the most significant climate feature of South America. However, little is known about SASM variability in the past. Here we present a new SASM reconstruction from Lago Chungará in the southern Altiplano (18° S). We show important changes in SASM strength at centennial timescales. Our results suggest that SASM variability in the southern Altiplano was not only controlled by tropical features, but also influenced by an extra-tropical precipitation. A best-estimate data set of the temperature profile above the atmospheric measurement facility at Lauder, New Zealand, has been developed. 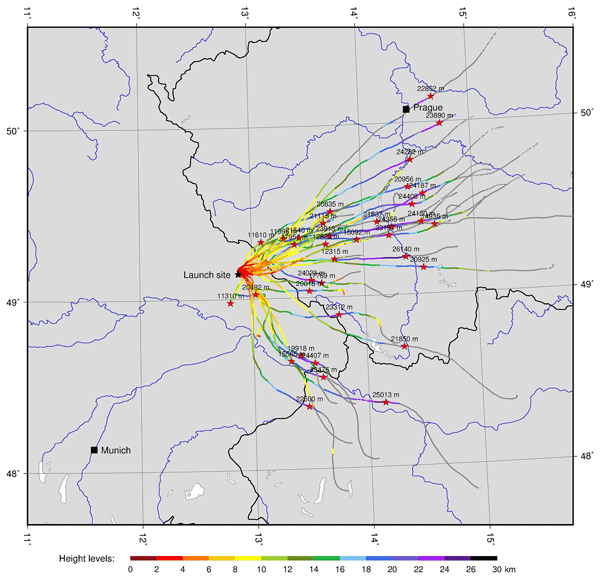 This site atmospheric state best estimate (SASBE) combines atmospheric measurements made at two locations and includes an estimate of uncertainty on every data point. 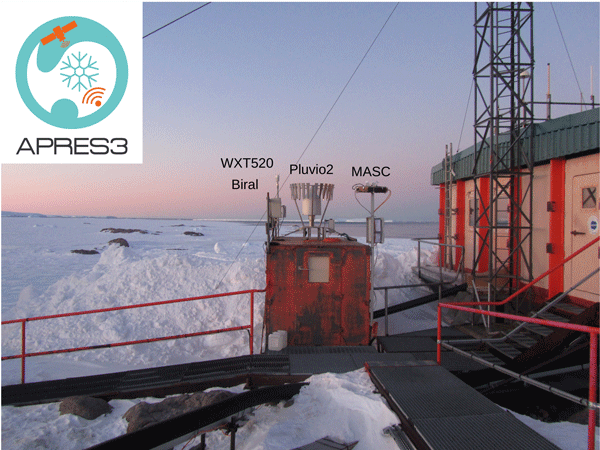 The SASBE enhances the value of measurements made by a reference-quality climate observing network and may be used for a variety of purposes in research and education. 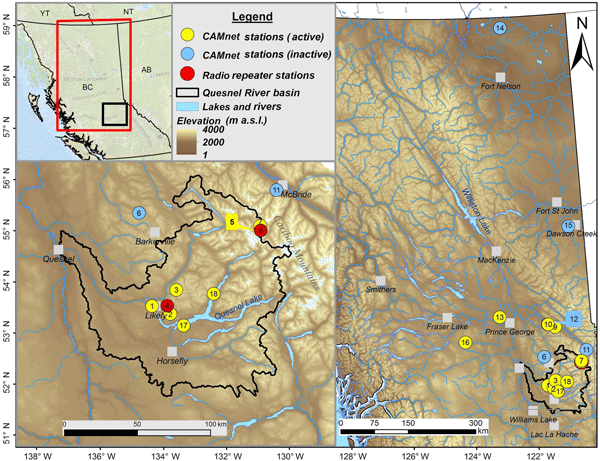 This article presents the development of a sub-hourly database on atmospheric conditions collected at 11 active weather stations in British Columbia's Cariboo Mountains extending from 2006 to present. Air and soil temperature, relative humidity, atmospheric pressure, wind speed and direction, rainfall and snow depth are measured at 15 min intervals. Details on deployment sites, the instrumentation used, the collection and quality control process are provided. We present a dataset of 8.8 million sub-daily weather observations for Europe and the southern Mediterranean, compiled and digitised from historical and modern sources. We describe the methods used to digitise and quality control the data, and show that 3.5 % of the observations required correction or removal, similar to other data rescue projects. 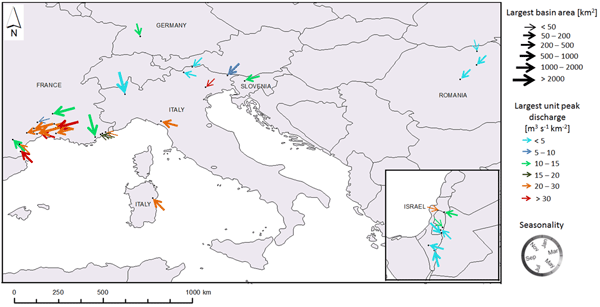 These newly recovered records will help to improve weather simulations over Europe. 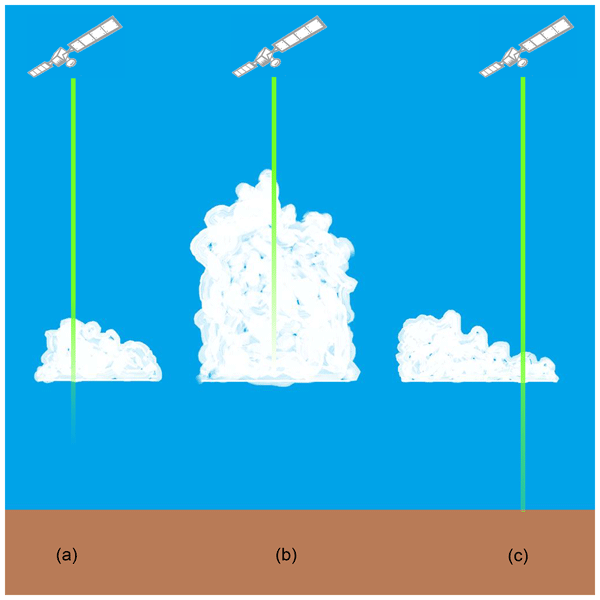 A main application of microwave remote sensing is to observe atmospheric particles consisting of ice. This application requires data on how particles with different shapes and sizes affect the observations. A database of such properties has been developed. The database is the most comprehensive of its type. Main strengths are a good representation of particles of aggregate type and broad frequency coverage. Radiosonde data collected during NOAA's El Niño Rapid Response Field Campaign in early 2016 have been reprocessed and lightly quality controlled. 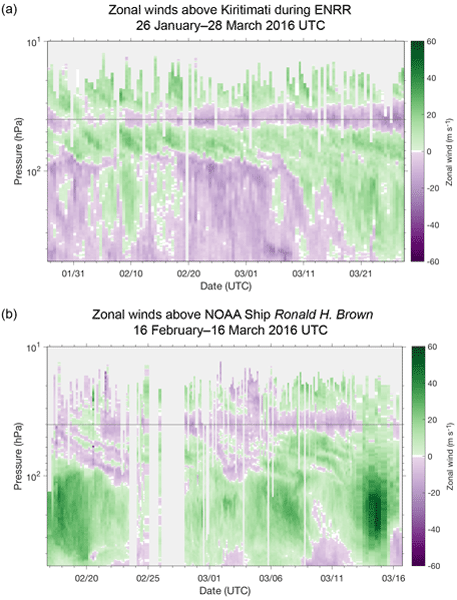 Temperature, humidity, and wind soundings from Kiritimati and NOAA Ship Ronald H. Brown capture the repeated advance and retreat of the ITCZ at Kiritimati, a variety of marine tropospheric environments encountered by the ship, and lower-stratospheric features of the 2015 2016 QBO (quasi-biennial oscillation). This publication presents results achieved within the GEWEX Water Vapor Assessment (G-VAP). An overview of available water vapour data records based on satellite observations and reanalysis is given. If a minimum temporal coverage of 10 years is applied, 22 data records remain. These form the G-VAP data archive, which contains total column water vapour, specific humidity profiles and temperature profiles. The G-VAP data archive is designed to ease intercomparison and climate model evaluation. The Hydrology, Meteorology, and Complexity laboratory of École des Ponts ParisTech (hmco.enpc.fr) has made a data set of optical disdrometer measurements available that come from a campaign involving three collocated devices from two different manufacturers, relying on different underlying technologies (one Campbell Scientific PWS100 and two OTT Parsivel2 instruments). The campaign took place in January–February 2016 in the Paris area (France). In order to construct a long-term homogeneous surface air temperature (SAT) series (more than 100 years), based on quality control, interpolation and homogeneity methods, we objectively establish a set of homogenized monthly SAT series in Qingdao, China from 1899 to 2014. Then long-term climate change trends can be described. The SAT in Qingdao has a notable warming of 0.11 °C per decade during 1899–2014. The coldest period occurred in 1909–1918 and the warmest period occurred in 1999–2008. 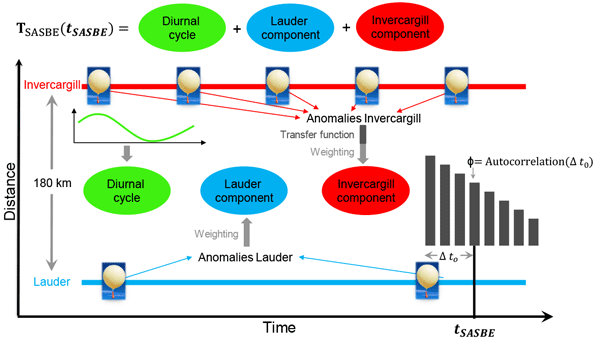 The paper describes the new ISCCP H-series CDR product which provides a reprocessing of the ISCCP data at a higher spatial resolution to improve cloud property retrievals. The paper also describes algorithmic changes to the former product, and outlines data access, caveats, and ongoing plans for the product under the stewardship of NOAA–NCEI. We present time series of the global distribution of water vapor over more than 2 decades based on satellite measurements from different sensors. A particular focus is the consistency amongst the different sensors to avoid jumps from one instrument to another. This is reached by applying robust and simple retrieval settings consistently. The resulting Climate product allows the study of the temporal evolution of water vapor over the last 20 years on a global scale. We document and validate radiative kernels for the surface and top-of-atmosphere calculated with NCAR's CESM1 climate model. A radiative kernel is the change in radiation in response to a small change in a property of the atmosphere or surface, essentially a partial derivative. They are used to quantify temperature, water vapor, surface albedo, and cloud feedbacks. We made these kernels because few are available for the surface. We also validate the kernels against the expected model responses. 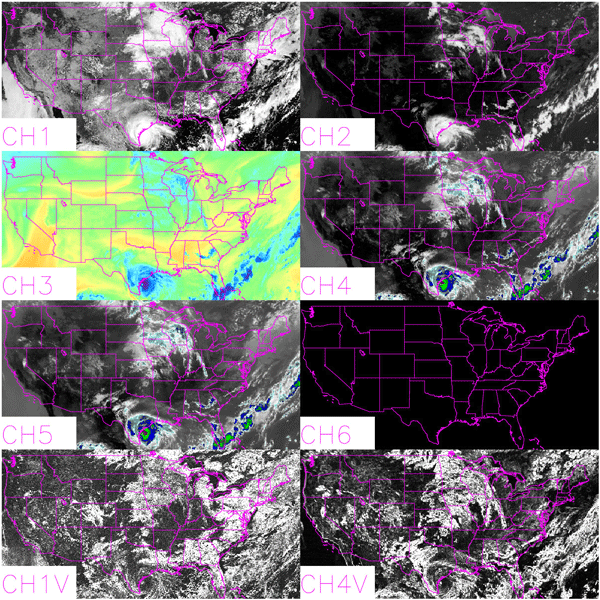 The observational gridded climate datasets are among the primary sources of information for climate analysis and monitoring. The seNorge2 high-resolution dataset of daily total precipitation (1957–2017) constitutes a valuable meteorological input for snow and hydrological simulations which are routinely conducted over Norway for research and to support operational applications for civil protection purposes. The dataset and the seNorge2 software are publicly available for download. The Icelandic Meteorological Office conducted meteorological buoy measurements in the central Iceland Sea in the time period 2007–2009, specifically in the northern Dreki area on the southern segment of the Jan Mayen Ridge. Direct measurements in this region are difficult and costly and thus few data sets available. This is therefore in many ways a unique data set. The data are now publicly available and here the deployment and the data are described for any future users. Spanish PREcipitation At Daily scale (SPREAD) is a new daily gridded precipitation dataset for Spain. It covers the whole territory of peninsular Spain and the Balearic and Canary Islands at a 5 × 5 km spatial resolution for the 1950–2012 period. The research is more than a complex analysis of precipitation in Spain; it provides a product that can be used for both scientific and decision-making policy purposes. The construction of a bias-adjusted dataset of climate variables at the near surface using ERA-Interim reanalysis is presented. The variables are air temperature, dewpoint temperature, precipitation (daily only), solar radiation, wind speed, and relative humidity.The resulting bias-adjusted dataset is available through the Climate Data Store (CDS) of the Copernicus Climate Change Data Store (C3S), and can be accessed at present from ftp://ecem.climate.copernicus.eu. Since 1982-12-09 the icebreaker POLARSTERN is the flagship of German polar research. It has conducted 30 campaigns to Antarctica, and 29 to the Arctic. It is therefore the perfect basis for radiosonde launches in data-sparse regions (oceans and polar regions). Radiosondes are balloon-borne instruments which record atmospheric temperature, humidity and pressure. The data are used, e.g. for short and medium weather forecasts. In these 30 years, 12 378 radiosonde balloons were started on POLARSTERN. The total solar eclipse over Ny-Ålesund (78.9° N, 11.9° E), Svalbard, on 20 March 2015 has been followed by various sensors. Here, we present the surface radiation measurements in the context of the meteorological observations, providing basic data for further studies on e.g. radiative transfer or micrometeorology. In September 2012 five Aerosonde unmanned aircraft were used to observe the atmosphere and ocean over the Terra Nova Bay polynya, Antarctica to explore the details of interactions between the ocean, sea ice, and atmosphere. A total of 14 flights and nearly 168 flight hours were completed as part of this project. A data set containing the atmospheric and surface data as well as operational aircraft data have been submitted to the United States Antarctic Program Data Coordination Center. 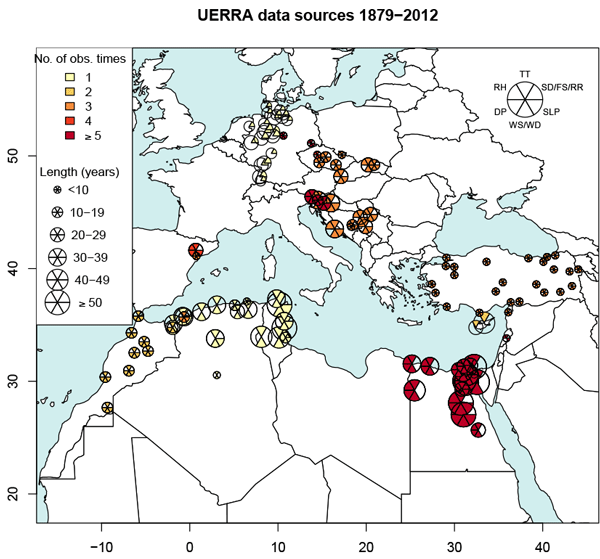 A database of global and diffuse components of the surface solar hourly irradiation measured from 2004 to 2010 at eight Egyptian meteorological stations is presented. At three sites, the direct component is also available. In addition, a series of meteorological variables is provided at the same hourly resolution. The measurements and quality checks applied to the data are detailed. 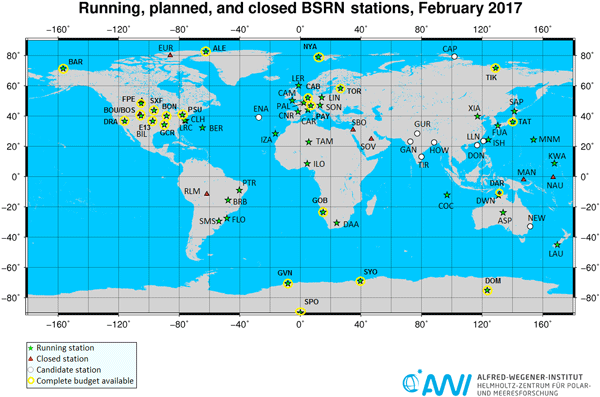 Finally, 13500 to 29000 measurements of global and diffuse hourly irradiation are available at each site. The CEH – Gridded Estimates of Areal Rainfall (CEH–GEAR) dataset contains 1 km gridded estimates of daily and monthly rainfall for Great Britain and Northern Ireland (plus approximately 3000 km2 in the Republic of Ireland) from 1890 to 2012. The rainfall estimates are derived from the Met Office national database of observed precipitation, using a natural neighbour interpolation methodology which includes a normalisation step based on average annual rainfall. Aguilar, E., Auer, I., Brunet, M., Peterson, T., and Wieringa, J.: Guidelines on climate metadata and homogenization. World Climate Programme Data and Monitoring WCDMP-No. 53, WMO-TD No. 1186, World Meteorological Organization, Geneva, 55 pp., 2003. Barnston, A. G. and Livezey, R. E.: Classification, Seasonality and Persistence of Low-Frequency Atmospheric Circulation Patterns, Mon. Weather Rev., 115, 1083–1126, https://doi.org/10.1175/1520-0493(1987)115<1083:CSAPOL>2.0.CO;2, 1987. Bastos, A., Janssens, I. A., Gouveia, C. M., Trigo, R. M., Ciais, P., Chevallier, F., Peñuelas, J., Rödenbeck, C., Piao, S., Friedlingstein, P., and Running, S. W.: European land CO2 sink influenced by NAO and East-Atlantic Pattern coupling, Nat. Commun., 7, 10315, https://doi.org/10.1038/ncomms10315, 2016. 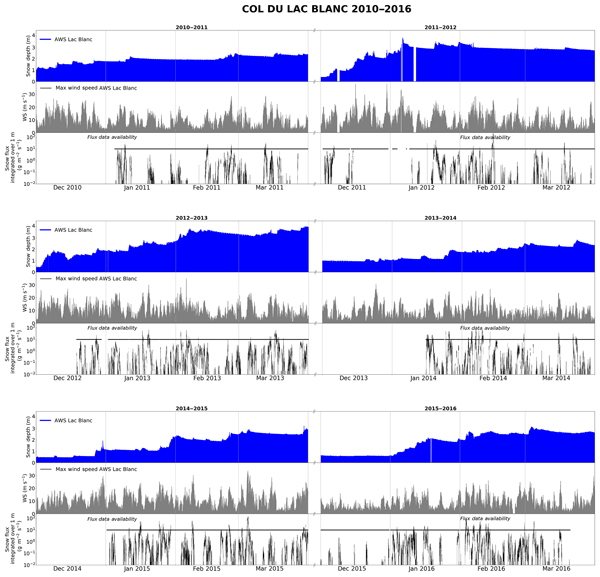 Blade, I., Liebmann, B., Fortuny, D., and van Oldenborgh, G. J.: Observed and simulated impacts of the summer NAO in Europe: implications for projected drying in the Mediterranean region, Clim. Dynam., 39, 709–727, https://doi.org/10.1007/s00382-011-1195-x, 2012. Bueh, C. and Nakamura, H.: Scandinavian pattern and its climatic impact, Q. J. Roy. Meteorol. Soc., 133, 2117–2131, https://doi.org/10.1002/qj.173, 2007. 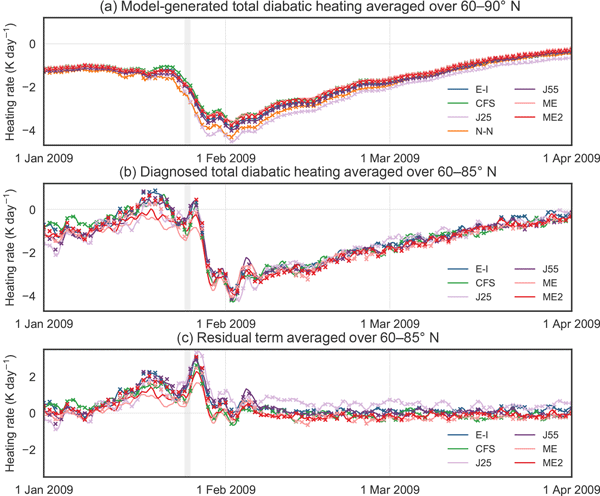 Chafik, L., Nilsen, J. E. Ø., and Dangendorf, S.: Impact of North Atlantic Teleconnection Patterns on Northern European Sea Level, J. Mar. Sci. Eng., 5, 43, https://doi.org/10.3390/jmse5030043, 2017. 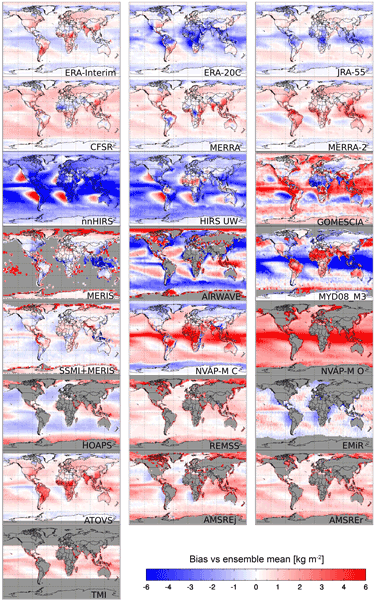 Comas-Bru, L. and Hernández, A.: Reconciling North Atlantic climate modes: Revised monthly indices for the East Atlantic and the Scandinavian patterns beyond the 20th century, PANGAEA, https://doi.org/10.1594/PANGAEA.892769, 2018. Comas-Bru, L. and McDermott, F.: Impacts of the EA and SCA patterns on the European twentieth century NAO-winter climate relationship, Q. J. Roy. Meteorol. Soc., 140, 354–363, https://doi.org/10.1002/qj.2158, 2014. Comas-Bru, L., McDermott, F., and Werner, M.: The effect of the East Atlantic pattern on the precipitation delta O-18-NAO relationship in Europe, Clim. Dynam., 47, 2059–2069, https://doi.org/10.1007/s00382-015-2950-1, 2016. Compo, G. P., Whitaker, J. S., Sardeshmukh, P. D., Matsui, N. , Allan, R. J., Yin, X. , Gleason, B. E., Vose, R. S., Rutledge, G. , Bessemoulin, P. , Brönnimann, S. , Brunet, M. , Crouthamel, R. I., Grant, A. N., Groisman, P. Y., Jones, P. D., Kruk, M. C., Kruger, A. C., Marshall, G. J., Maugeri, M., Mok, H. Y., Nordli, Ø., Ross, T. F., Trigo, R. M., Wang, X. L., Woodruff, S. D., and Worley, S. J.: The Twentieth Century Reanalysis Project, Q. J. Roy. Meteorol. Soc., 137, 1–28, https://doi.org/10.1002/qj.776, 2011. CPC: Northern Hemisphere Teleconnection Patterns, Climate Prediction Centre, US National Oceanic and Atmospheric Administration, available at: http://www.cpc.ncep.noaa.gov/data/teledoc/telecontents.shtml (last access: 26 February 2018), 2012. Cradden, L. C. and McDermott, F.: A weather regime characterisation of Irish wind generation and electricity demand in winters 2009–11, Environ. Res. Lett., 13, 054022, https://doi.org/10.1088/1748-9326/aabd40, 2018. Crasemann, B., Handorf, D., Jaiser, R., Dethloff, K., Nakamura, T., Ukita, J., and Yamazaki, K.: Can preferred atmospheric circulation patterns over the North-Atlantic-Eurasian region be associated with arctic sea ice loss?, Polar Sci., 14, 9–20, https://doi.org/10.1016/j.polar.2017.09.002, 2017. Cropper, T., Hanna, E., Valente, M. A., and Jónsson, T.: A daily Azores–Iceland North Atlantic Oscillation index back to 1850, Geosci. Data J., 2, 12–24, https://doi.org/10.1002/gdj3.23, 2015. Dommenget, D. and Latif, M.: A cautionary note on the interpretation of EOFs, J. Climate, 15, 216–225, https://doi.org/10.1175/1520-0442(2002)015<0216:ACNOTI>2.0.CO;2, 2002. Ebisuzaki, W.: A method to estimate the statistical significance of a correlation when the data are serially correlated, J. 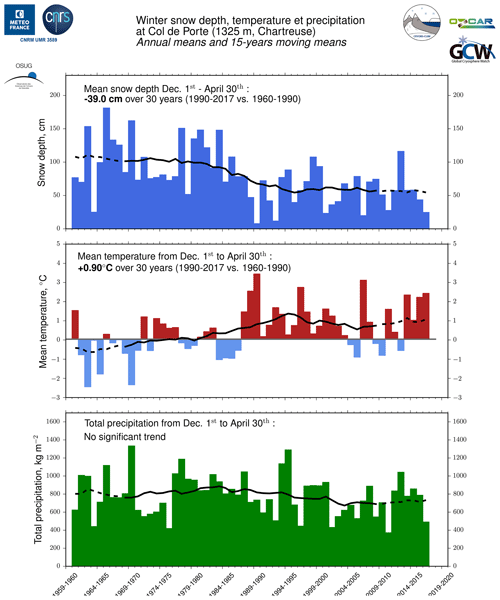 Climate, 10, 2147–2153, https://doi.org/10.1175/1520-0442(1997)010<2147:AMTETS>2.0.CO;2, 1997. Folland, C. K., Knight, J., Linderholm, H. W., Fereday, D., Ineson, S., and Hurrell, J. W.: The Summer North Atlantic Oscillation: Past, Present, and Future, J. Climate, 22, 1082–1103, https://doi.org/10.1175/2008JCLI2459.1, 2009. Hall, R. J. and Hanna, E.: North Atlantic circulation indices: links with summer and winter UK temperatures and precipitation and implications for seasonal forecasting, Int. J. Climatol., 38, e660–e677, https://doi.org/10.1002/joc.5398, 2018. Hernández, A., Kutiel, H., Trigo, R. M., Valente, M. A., Sigró, J., Cropper, T., and Espírito-Santo, F.: New Azores archipelago daily precipitation dataset and its links with large-scale modes of climate variability, Int. J. 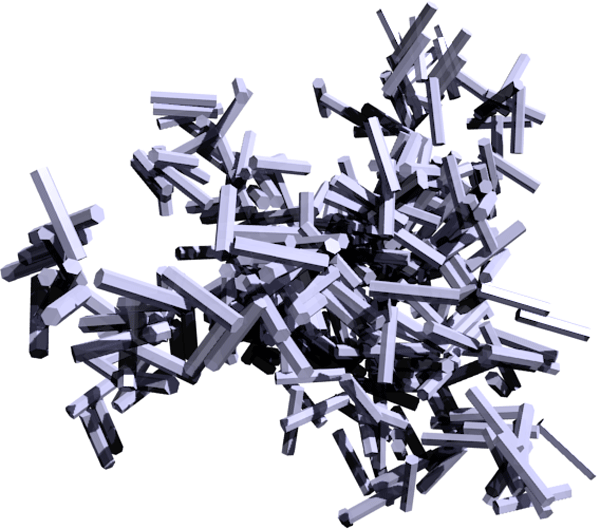 Climatol., 36, 4439–4454, https://doi.org/10.1002/joc.4642, 2016. Hurrell, J. W. and Deser, C.: North Atlantic climate variability: The role of the North Atlantic Oscillation, J. Marine Syst., 79, 231–244, https://doi.org/10.1016/j.jmarsys.2008.11.026, 2010. Hurrell, J. W. and van Loon, H.: Decadal variations in climate associated with the north Atlantic oscillation, Clim. Change, 36, 301–326, https://doi.org/10.1023/A:1005314315270, 1997. Hurrell, J. W., Kushnir, Y., Ottersen, G., and Visbeck, M. (Eds. ): An Overview of the North Atlantic Oscillation, in: The North Atlantic Oscillation: Climatic Significance and Environmental Impact, Geophysical Monograph Series, https://doi.org/10.1029/134GM01, 2013. Jerez, S. and Trigo, R. M.: Time-scale and extent at which large-scale circulation modes determine the wind and solar potential in the Iberian Peninsula, Environ. Res. Lett., 8, 044035, https://doi.org/10.1088/1748-9326/8/4/044035, 2013. 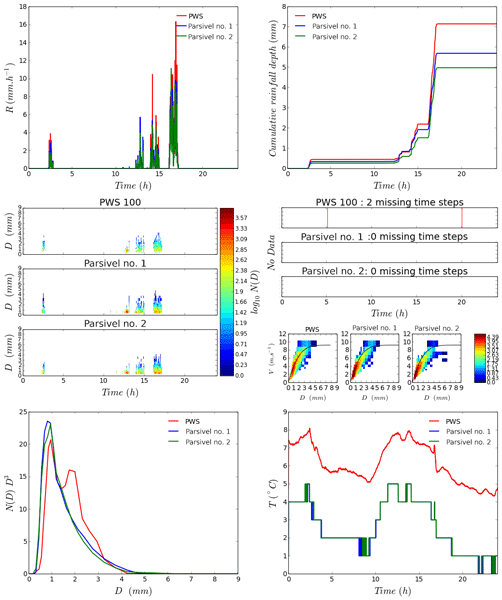 Jones, P. D., Jónsson, T., and Wheeler, D.: Extension to the North Atlantic Oscillation using early instrumental pressure observations from Gibraltar and south-west Iceland, Int. J. Climatol., 17, 1433–1450, https://doi.org/10.1002/(SICI)1097-0088(19971115)17:13<1433::AID-JOC203>3.0.CO;2-P, 1997. 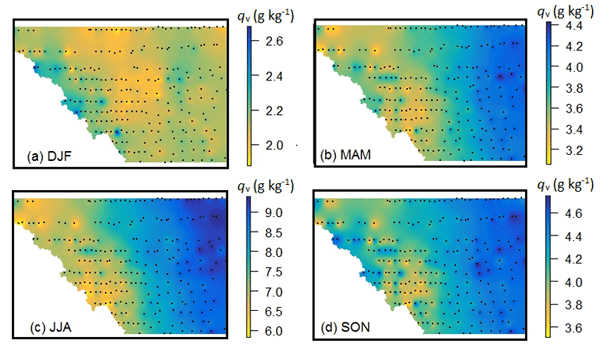 Josey, S. A. and Marsh, R.: Surface freshwater flux variability and recent freshening of the North Atlantic in the eastern subpolar gyre, J. Geophys. Res.-Oceans, 110, C05008, https://doi.org/10.1029/2004JC002521, 2005. Kalnay, E., Kanamitsu, M., Kistler, R., Collins, W., Deaven, D., Gandin, L., Iredell, M., Saha, S., White, G., Woollen, J., Zhu, Y., Chelliah, M., Ebisuzaki, W., Higgins, W., Janowiak, J., Mo, K. C., Ropelewski, C., Wang, J., Leetmaa, A., Reynolds, R., Jenne, R., and Joseph, D.: The NCEP/NCAR 40-Year Reanalysis Project, B. Am. Meteorol. Soc., 77, 437–472, https://doi.org/10.1175/1520-0477(1996)077<0437:TNYRP>2.0.CO;2, 1996. Klein Tank, A. M., Wijngaard, J. B., Können, G. P., Böhm, R., Demarée, G., Gocheva, A., Mileta, M., Pashiardis, S., Hejkrlik, L., Kern-Hansen, C., Heino, R., Bessemoulin, P., Müller-Westermeier, G., Tzanakou, M., Szalai, S., Pálsdóttir, T., Fitzgerald, D., Rubin, S., Capaldo, M., Maugeri, M., Leitass, A., Bukantis, A., Aberfeld, R., van Engelen, A. F., Forland, E., Mietus, M., Coelho, F., Mares, C., Razuvaev, V., Nieplova, E., Cegnar, T., Antonio López, J., Dahlström, B., Moberg, A., Kirchhofer, W., Ceylan, A., Pachaliuk, O., Alexander, L. V., and Petrovic, P.: Daily dataset of 20th-century surface air temperature and precipitation series for the European Climate Assessment, Int. J. Climatol., 22, 1441–1453, https://doi.org/10.1002/joc.773, 2002. 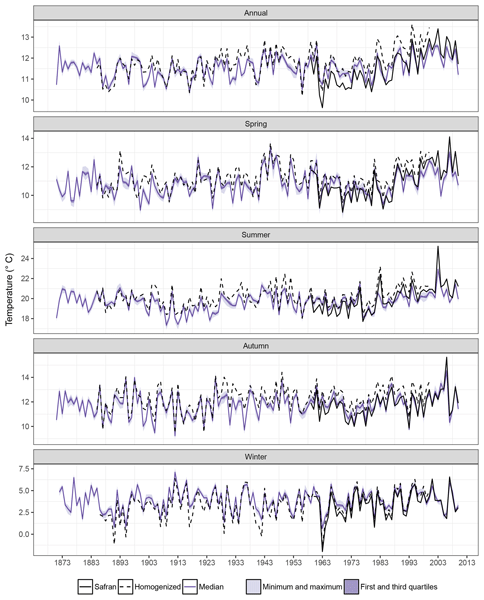 Lehner, F., Raible, C. C., and Stocker, T. F.: Testing the robustness of a precipitation proxy-based North Atlantic Oscillation reconstruction, Quaternary Sci. Rev., 45, 85–94, https://doi.org/10.1016/j.quascirev.2012.04.025, 2012. 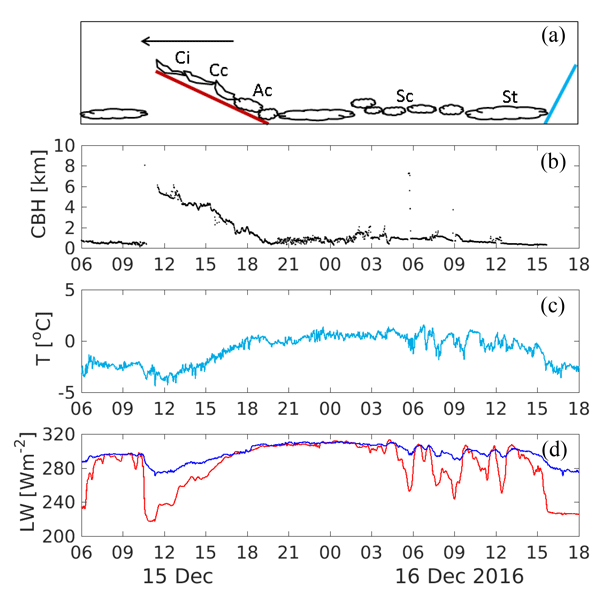 Lim, Y.-K.: The East Atlantic/West Russia (EA/WR) teleconnection in the North Atlantic: climate impact and relation to Rossby wave propagation, Clim. Dynam., 44, 3211–3222, https://doi.org/10.1007/s00382-014-2381-4, 2015. Moore, G. W. K. and Renfrew, I. A.: Cold European winters: interplay between the NAO and the East Atlantic mode, Atmos. Sci. Lett., 13, 1–8, https://doi.org/10.1002/asl.356, 2012. Moore, G. W. K., Pickart, R. S., and Renfrew, I. A.: Complexities in the climate of the subpolar North Atlantic: a case study from the winter of 2007, Q. J. Roy. Meteorol. Soc., 137, 757–767, https://doi.org/10.1002/qj.778, 2011. Moore, G. W. K., Renfrew, I. A., and Pickart, R. S.: Multidecadal Mobility of the North Atlantic Oscillation, J. Climate, 26, 2453–2466, https://doi.org/10.1175/JCLI-D-12-00023.1, 2013. North, G. R., Bell, T. L., Cahalan, R. F., and Moeng, F. J.: Sampling Errors in the Estimation of Empirical Orthogonal Functions, Mon. Weather Rev., 110, 699–706, https://doi.org/10.1175/1520-0493(1982)110<0699:SEITEO>2.0.CO;2, 1982. Pielke, R. J., Prins, G., Rayner, S., and Sarewitz, D.: Lifting the taboo on adaptation, Nature, 445, 597–598, https://doi.org/10.1038/445597a, 2007. Pinto, J. G. and Raible, C. C.: Past and recent changes in the North Atlantic oscillation, WIRES Clim. Change, 3, 79–90, https://doi.org/10.1002/wcc.150, 2012. Poli, P., Hersbach, H., Dee, D. P., Berrisford, P., Simmons, A. J., Vitart, F., Laloyaux, P., Tan, D. G. H., Peubey, C., Thépaut, J.-N., Trémolet, Y., Hólm, E. V., Bonavita, M., Isaksen, L., and Fisher, M.: ERA-20C: An Atmospheric Reanalysis of the Twentieth Century, J. Climate, 29, 4083–4097, https://doi.org/10.1175/JCLI-D-15-0556.1, 2016. Rodríguez-Puebla, C. and Nieto, S.: Trends of precipitation over the Iberian Peninsula and the North Atlantic Oscillation under climate change conditions, Int. J. Climatol., 30, 1807–1815, https://doi.org/10.1002/joc.2035, 2010. Roundy, P. E.: On the interpretation of EOF analysis of ENSO, atmospheric Kelvin waves, and the MJO, J. Climate, 28, 1148–1165, https://doi.org/10.1175/JCLI-D-14-00398.1, 2015. Scherrer, S. C., Appenzeller, C., Liniger, M. A., and Schär, C.: European temperature distribution changes in observations and climate change scenarios, Geophys. Res. Lett., 32, L19705, https://doi.org/10.1029/2005GL024108, 2005. Trenberth, K. E. and Jones, P. D.: Observations: Surface and Atmospheric Climate Change, Cambridge University Press, New York, 2007. Trewin, B.: Exposure, instrumentation, and observing practice effects on land temperature measurements, WIRES Clim. Change, 1, 490–506, https://doi.org/10.1002/wcc.46, 2010. Uppala, S. M., Kållberg, P. W., Simmons, A. J., Andrae, U., Da Costa Bechtold, V., Fiorino, M., Gibson, J.K., Haseler, J., Hernandez, A., Kelly, G. A., Li, X., Onogi, K., Saarinen, S., Sokka, N., Allan, R. P., Anderson, E., Arpe, K., Balmaseda, M. A., Beljaars, A. C. M., Van De Berg, L., Bidlot, J., Bormann, N., Caires, S., Chevallier, F., Dethof, A., Dragosavac, M., Fisher, M., Fuentes, M., Hagemann, S., Hólm, E., Hoskins, B. J., Isaksen, L., Janssen, P. A. E. M., Jenne, R., Mcnally, A. P., Mahfouf, J.-F., Morcrette, J.-J., Rayner, N. A., Saunders, R. W., Simon, P., Sterl, A., Trenbreth, K. E., Untch, A., Vasiljevic, D., Viterbo, P., and Woollen, J.: The ERA-40 re-analysis, Q. J. Roy. Meteor. Soc., 131, 2961–3012, https://doi.org/10.1256/qj.04.176, 2005. Wallace, J. M. and Gutzler, D. S.: Teleconnections in the Geopotential Height Field during the Northern Hemisphere Winter, Mon. Weather Rev., 109, 784–812, https://doi.org/10.1175/1520-0493(1981)109<0784:TITGHF>2.0.CO;2, 1981. Wallbrink, H., Koek, F., and Brandsma, T.: The US Maury Collection Metadata 1796–1861, KNMI-225/HISKLIM-11, available at: http://bibliotheek.knmi.nl/knmipubmetnummer/knmipub225.pdf (last access: 5 December 2018), 2009. 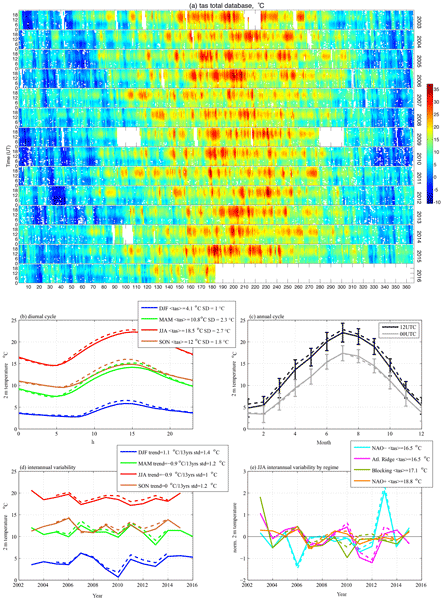 Wang, Y. H., Magnusdottir, G., Stern, H., Tian, X., and Yu, Y. M.: Uncertainty Estimates of the EOF-Derived North Atlantic Oscillation, J. Climate, 27, 1290–1301, https://doi.org/10.1175/JCLI-D-13-00230.1, 2014. Wanner, H., Bronnimann, S., Casty, C., Gyalistras, D., Luterbacher, J., Schmutz, C., Stephenson, D. B., and Xoplaki, E.: North Atlantic Oscillation – Concepts and studies, Surv. Geophys., 22, 321–382, https://doi.org/10.1023/A:1014217317898, 2001. Woodruff, S. D., Diaz, H. F., Worley, S. J., Reynolds, R. W., and Lubker, S. J.: Early ship observational data and ICOADS, Clim. Change, 73, 169–194, https://doi.org/10.1007/s10584-005-3456-3, 2005. Woollings, T., Hannachi, A., Hoskins, B., and Turner, A.: A Regime View of the North Atlantic Oscillation and Its Response to Anthropogenic Forcing, J. Climate, 23, 1291–1307, https://doi.org/10.1175/2009JCLI3087.1, 2010. Zubiate, L., McDermott, F., Sweeney, C., and O'Malley, M.: Spatial variability in winter NAO-wind speed relationships in western Europe linked to concomitant states of the East Atlantic and Scandinavian patterns, Q. J. Roy. Meteorol. Soc., 143, 552–562, https://doi.org/10.1002/qj.2943, 2017.